Hi there! 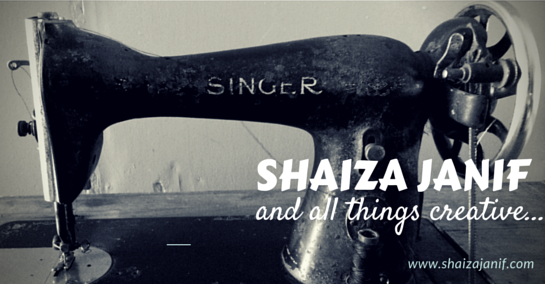 Welcome to Shaiza Janif and all things creative. I am a novice blogger and slowing learning to use this as an outlet for my creativity. I am a liberated human, an artist, and a lover of live. I love poetry, sunsets, and wind in my hair. I also love traveling, photography, and to constantly challenge myself to try new things. Most of what I do has a DIY focus to it and most of the posts will probably be about photography or stitching projects. But do not be surprised if you come across Rumi over here!